Do you believe in serendipity? 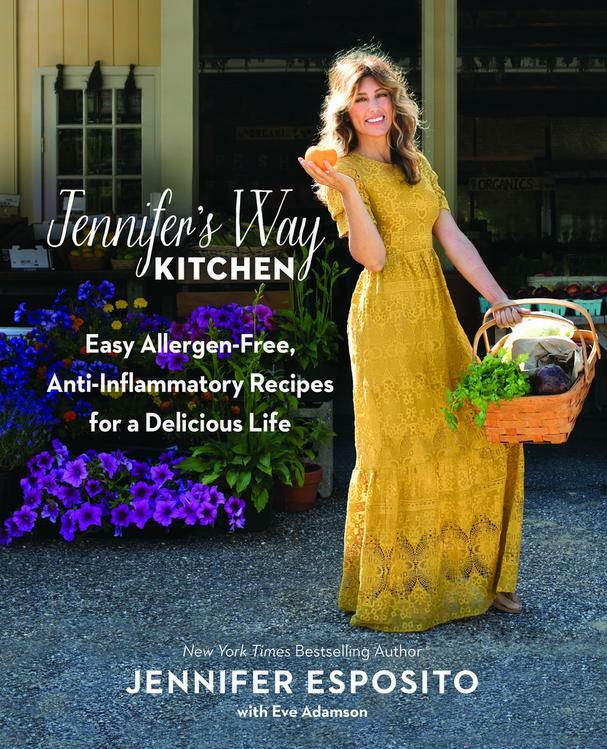 Shortly after my celiac diagnosis my mother told me about a new cookbook by the actress Jennifer Esposito, who also has celiac disease. I’d been buying lots of books on the subject, but at the time they were mostly books about the disease and how to recover. I had tofirst learn the nuts and bolts of this disease I had unknowingly been living with for quite some time. I hadn’t yet made the leap to buying a whole new set of cookbooks. But, I went on Amazon and added JENNIFER’S WAY KITCHEN to my Shopping Cart, promising myself I’d buy it later. When I arrived at my office the next morning, there, among the pile of other books begging to have their spines cracked, was a copy of JENNIFER’S WAY KITCHEN waiting for me. That was four weeks ago. I’m done reading the medical books, and I instantly gave up gluten upon my diagnosis, but it took a while to really want to feed myself again. Not just erase something completely from my diet, but to add to it and nourish it. I’m still in the healing phase, and probably will be for a long time, but JENNIFER’S WAY KITCHEN made me want to get in the kitchen again. There are many great books out there on anti-inflammatory, allergen-free, and gluten free diets, but what I like most is her chapters are laid out by where you are in the healing process: PURE contains recipes to soothe your gut and help you heal, CLEAN has recipes for when your inflammation is down and you’re eating to maintain your health, and INDULGENT includes recipes for living it up (within reason, of course)! What I also love about Jennifer’s book is her recipes are not only healing but delicious, and most are super easy. 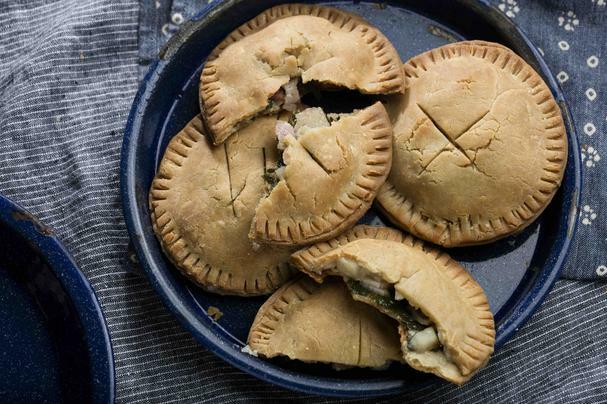 My 7-year-old daughter begs to make the Hand Pies (recipe below) - I’m not a baker and even I can master these babies! We double the batch and fill them with different ingredients, then freeze them for lunches. Like many (if not most) who suffer from an auto-immune disease, the ailments often come in pairs (or more). I also have one of celiac’s BFFs - gastritis - and it’s chronic, which means the lining of my stomach has been burning like a raging inferno for a long time. The good news is it will heal. The bad news is that many of us, even those without an auto-immune disease, have poor gut health thanks to the Western diet. It’s the buzz word of today - microbiome - your gut. Even a round of antibiotics is enough to throw your microbiome off kilter and cause imbalance in your body. And all this imbalance, over time, can create inflammation or worse. Getting back on track with healthy foods and recipes that help heal your gut and eliminate inflammation, or at least bring it down to a simmer, is easy. It may take time, patience, and diligence when it comes to what you feed yourself, but it can be achieved. I’ve always been a healthy eater, but I was eating the wrong things for my body. If you’re a healthy eater, too, but find you’re just not feeling right, it’s worth switching up your diet. Try eating from the PURE chapter for a week and see how you feel. (Note: be sure to discuss this with your physician first and, whatever you do, never self-diagnose any disease). The Breakfast, Lunch, Dinner, or Dessert Pumpkin Pie (PURE) *Perfect for the holidays, people!! Raw Cacao Pudding in Mason Jars (PURE) *This is made with avocado! It’s my go-to treat and is so soothing! Anti-Inflammatory Mega Soup (PURE) This is chock full of goodness, so everyone reading should make a batch: coconut oil, olive oil, sweet potato, garlic and ginger, cloves, turmeric, salt and pepper, and bone broth. Amazing Grain-Free Artisan Bread (PURE) You should see the beautiful crust on this loaf! Let’s start feeling great together! Free Piecrust is easier to work with. apple slices, or pumpkin pie filling. Divide the dough into 4 pieces and press out into approximately 6-inch rounds on a baking sheet. They don’t have to be perfect. Spoon 2 to 3 tablespoons of filling on one side of each round, fold the dough over, and pinch the edges together. Or make 8 (3-inch) rounds, put 2 tablespoons of filling on 4 of the rounds, cover with the other 4 rounds, and pinch closed. Bake at 350°F for 8 to 12 minutes, or until the dough is firm. 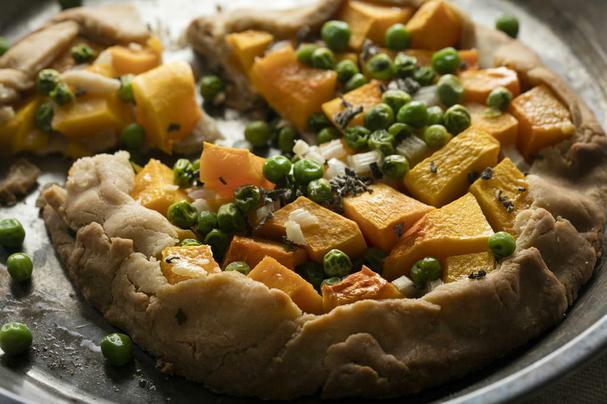 Let cool for at least 5 minutes, then serve warm or at room temperature. 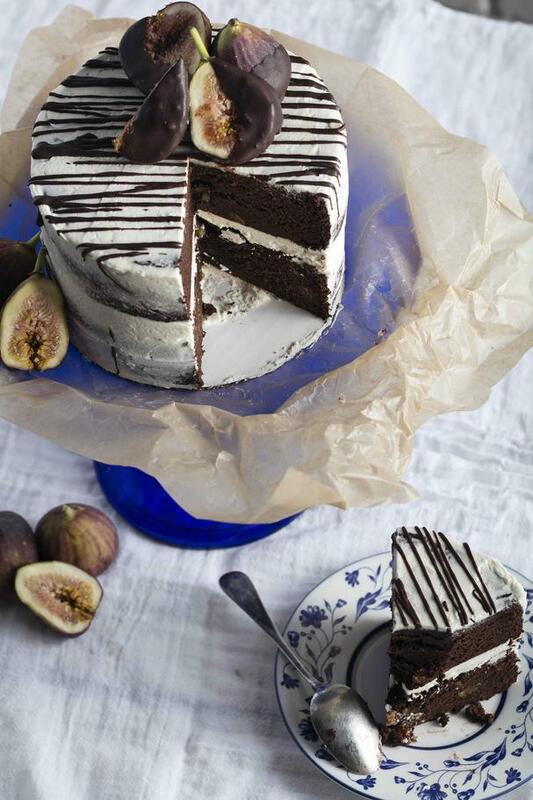 Recipes excerpted from the book JENNIFER’S WAY KITCHEN by Jennifer Esposito with Eve Adamson. Copyright © 2017 by Bern Productions, Inc. Reprinted with permission of Grand Central Life & Style. All rights reserved. This post includes associates links to Amazon.